The latest annual hedge fund industry pay stats have suits smiling — and ordinary mortals worrying about public education’s future. Hedge fund mogul David Tepper pocketed over a third as much last year as all America’s kindergarten teachers. Pharrell Williams has reason to be happy. The singer and music producer has had the world’s hottest pop single over the past six months. His Happy has been topping the charts everywhere, from the United States to Lebanon and Bulgaria. If this bouncy ditty keeps selling, Williams might even end up 2014 as happy as Taylor Swift, the most lavishly compensated musical artist in all of 2013. Swift took home $39.7 million for the year. But Pharrell Williams, if he should hit that lofty mark, probably still wouldn’t be feeling nearly as tickled and giddy as the over 3,000 power suits who were swaying to his Happy last Monday. Those suits — an assemblage that included most all the major domos of hedge fund America — were attending an annual high-powered investment conference in Manhattan. At the conference close, reports Businessweek, the attendees all rose as Happy’s infectious beat filled Lincoln Center’s Avery Fisher Hall. What had the hedgies so happy? The rest of us found out the next day. In 2013, the trade journal Alpha revealed, the hedge fund industry’s top 25 earners collected $21.15 billion, a whopping 50 percent over their total the year before. A hedge fund manager in 2013 had to take in $300 million to make the top 25. 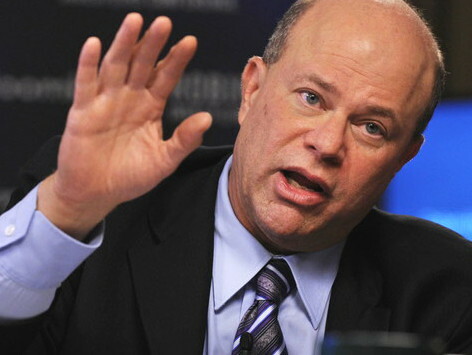 Numero uno on this year’s hedge fund pay list: David Tepper, with $3.5 billion. Three other fund managers pulled in over $2 billion. Totals this grand essentially make Taylor Swift’s millions look like a paycheck for a Holiday Inn lounge act. Swift averaged $109,000 a day in 2013. Tepper’s daily average: $9.6 million. But the real enormity of America’s annual hedge fund jackpots only comes into focus when we contrast these windfalls to the rewards that go to ordinary Americans. Kindergarten teachers, for instance. The 157,800 teachers of America’s little people, the Bureau of Labor Statistics tells us, together make about $8.34 billion a year. Hedge fund America’s top four earners alone last year grabbed $10.4 billion. Cheerleaders for hedge fund America consider such comparisons unfair. Hedge fund titans, they trumpet, are making a huge contribution to education. They’re investing, for instance, millions upon millions in the charter school cause. True enough. Hedge fund billionaires are indeed investing colossal millions in charters, educational entities — often tied closely to for-profits— that take in public tax dollars but operate independently of local school board oversight. Only the earnings of real people can help us appreciate the enormity of hedge fund jackpots. Hedge fund flacks hail this growing charter presence as a new window to opportunity for underprivileged kids in failing traditional schools. But many educators consider charters a diversion of badly needed public tax dollars into unaccountable private entities that cream off top students and refuse to take in the most challenged. Hedge fund masters of our universe, with this loophole in place, will continue to rake in hundreds of millions and pile those millions into billions. And they’ll continue to use those millions and billions to distort our political process, in education and every other public policy realm they happen to dance into. That should not leave us happy.